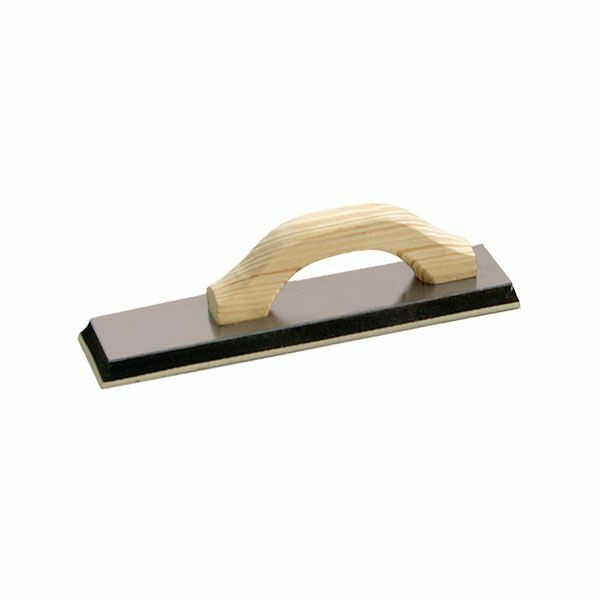 Offset handle and narrow pad permit easier horizontal and vertical grouting in toe space areas such as under kitchen cabinets and vanities. Offset handle and narrow pad permit easier horizontal and vertical grouting in toe space areas such as under kitchen cabinets and vanities. The long wearing 100% gum rubber face is bonded to a dense foam rubber pad. The extra thick aluminum backing resists bending. Handle is offset 3" from one end to allow easy and complete access to toe space areas. Can also be used for field grouting. Has a sanded hardwood handle. Pad measures 3" wide x 12" long x 3/4" thick.